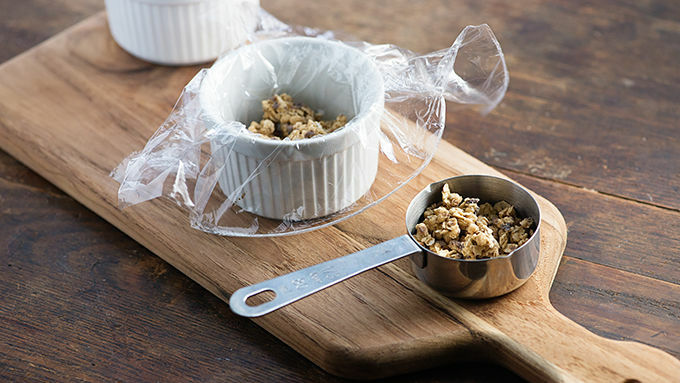 Line two small 5-ounce ramekins with plastic wrap, leaving plenty hanging over the edges. Combine granola and espresso powder. Place just enough granola to cover bottom of dish in both ramekins. Top with half of the yogurt. Sprinkle with more granola and top with remaining yogurt. Top with remaining granola and gently pat it into yogurt. Bring plastic wrap up to cover granola and press closed. 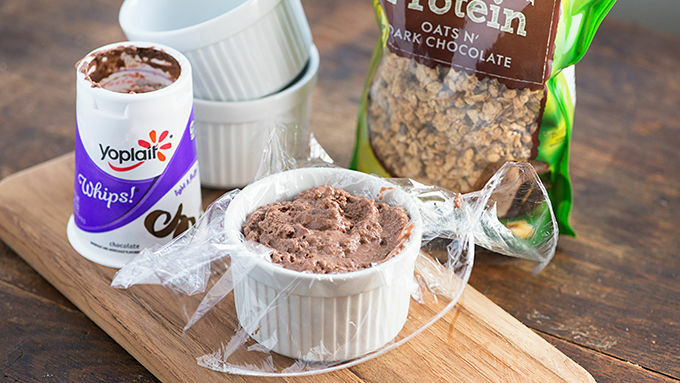 When ready to serve, remove from freezer and carefully use plastic wrap to remove the frozen cakes from the ramekin. Invert onto a small plate and remove the plastic wrap. Sprinkle with chocolate curls or dust with cocoa powder. Let sit 15 minutes before serving. To make chocolate curls, melt 1/4 cup chocolate chips with 2 teaspoons shortening in microwave. Spread thinly on the back of a cookie sheet and freeze for 5 minutes. Use a metal spatula to scrape up chocolate into small curls. Let’s talk about date night, shall we? Normally, I’m the type of girl to demand a dinner out for date night. I mean, I cook all day. Cooking for date night is not considered romantic in my world. But do you know what is romantic? Coming home after a fancy dinner out with my love to devour a decadent homemade dessert. By candlelight, of course, so that he can barely see me shoving the dessert into my face at supersonic speeds. 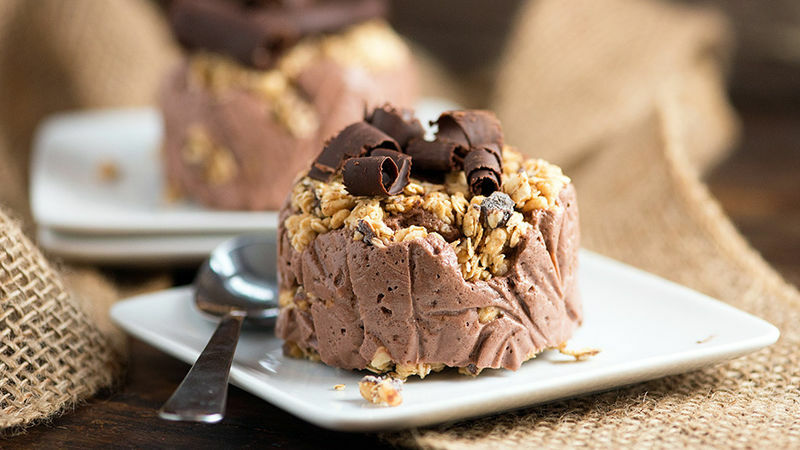 Your next date night demands these Frozen Tiramisu Crunch Cakes! I’ll share a recipe for two cakes, but you can easily adjust this to make as many as you’d like. And the best part? These are beyond easy and only need four ingredients. When you remove the finished cakes from the freezer, plop them right out onto a pretty plate. I like to top mine with chocolate curls, but that’s totally optional. A sprinkling of cocoa powder would work just as well. Set these set out at room temperature for about 15 minutes before devouring.